Multifocal lenses Whilst the technology behind these lenses has been around for few decades the more recent advances make the product range more exciting.These aim to improve reading and intermediate range performance by providing a wider range for viewing whilst still maintaining distance clarity. They reduce peripheral distortions and enlarge near zones for clearer crisper viewing. So if your standard multifocals are not delivering ask us for advice. There are quite few computations involved in arriving at a clearer field of view. The products available require careful centration.One has to know the wrap of the frame around the face, its tilt, eye centration, suitability of prescription to specific lens type, pupil separation distances at near and far. The computer simulated wavefront designs of these lenses are optimized for your prescription so that both eyes can work well in unison. Comfort Office Lenses Designed with the 40 plus age group in mind. They extend the range of focus from near to intermediate range for more comfortable viewing of not only your desk but also the computer screen and even the walls around you. Some of these designs will encompass wider near zones some will skew the balance towards the intermediate area. We recommend digitally configured office lenses for enhanced adaptation and wider fields of view.Customize them to your daily needs! Digitally Configured Lenses These just like more advanced multifocal lenses are configured to minimize distortions in your peripheral field of view.Complex mathematical algorithms are used to make these lenses. High Refractive-Index Lenses Lens engineering has leapt well beyond the days of glass or standard plastic.The current polymers can make a huge difference to the lens thickness.As the index creeps up, the lens thickness decreases.Aberrations are reduced also. Ask about the right index for you. There are quite few options available to suit. 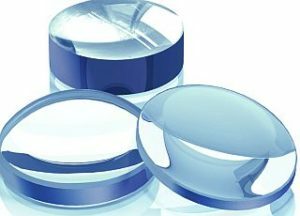 Aspheric Designs These lens types are manufactured to reduce peripheral field of view distortions. The lens curvature follows the rotation of the eye as it gazes off the axis. These designs are even available in single focus lenses.There is an overlap between digitally made lenses. Scratch Resistant Coatings There are few varieties available from standard hard coat to super tough quartz types. Photosensitive Filters Filters, applied to lenses, which activate in the sun. The degree of activation varies depending on your requirements.They are available in 7 colours ,the most common being grey and brown. Polarizing This is a glare control filter .Great for water sports, fishing or snow skiing. Anti Reflective Coating or Multicoat These products reduce inherent lens reflections. Excellent choice for just about everyone. The product array is variable. Blue Cut Filter – Multicoat These products reduce the light transmission in the blue light spectrum, UV range , which is increasingly around us more and more, from current low energy light globes to computer devices. We recommend these for avid computer users. Great for office bound life style , may however limit your night vision performance.Discuss with our Doctors. Wrap Type Prescription Sunglasses This very recent technological manufactural advancement allows lenses to be curved, around your face in a most unusual way whilst protecting from the sun. See the video of the manufacturing process, a bit like a robotic matrix scanner. Enhanced Breathability Contact Lenses Recent advancements in contact polymer technologies has allowed for evolution of silicone hydrogel wettable materials. They have super enhanced breathing capability, allowing them to be worn continuously up to 1 month. Ask for advice on which lens may be best suited to your needs. Multifocal Contact Lenses These have in built micro optical zones which allow for distance and near viewing. Some of these designs will favor a dominant eye for distance and non dominant eye for near. Best way to assess what works is to book for a clinical trial. Aberration Controlled Optics Contact Lenses These contact lenses have an inbuilt optical zone which reduces spherical aberrations. They are capable of enhancing your vision beyond what standard glasses will provide, depending on your eyes parameters. The end result maybe vision better than 6/6. It is also a great alternative for patients with small degree of uncorrected astigmatism. Swimming Goggles You can have swimming goggles fitted with your custom prescription.So when you swim have the image in focus. Scuba-Diving Mask Diving masks can have either your spectacle prescription laminated into the front shield so it becomes a part of the mask, or it you can have custom made inserts fitted into the mask . These options may not apply to all the mask types, so please ask for advice first. We would need to inspect the mask and take few measurements with you wearing the mask. Contact Lenses measuring Intra-Ocular Pressure In the commercial setting at this stage, contact lenses have been designed with sensors built in which continuously measure eye pressure. Frames with Projection System Eye wear interfacing with your computer. The technology is here. The spectacles will project an image in front of you which you will be able to view at request , whether it is a map with directions or data feed from your computer. The projection systems with micro-cameras, holograms, some integration of nano-engineering will deliver a product soon. Watch this space. Focus Adjusting Lenses These products are slowly infiltrating Asia ,as are lenses which accommodate or adjust focus at near as you tilt your head down .They rely on specific head posture for activation. It utilizes pixel-lens type hybrid technology. A great product for some sports , golf being one. Liquid Crystal Adaptive Lenses These products at present are emerging in ophthalmic equipment utilised in working out refractive or focusing error of the eye. As you wear them they adjust clarity of your vision. In our view the technology is in early stages of its potential,”teething ” phase. We are watching this space!